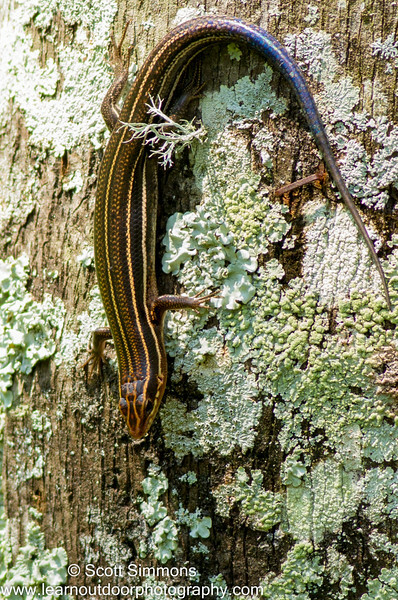 Back in August of 2014 I was at my parents' house, and I saw a skink on a tree in their backyard. I ran and got my camera to take these photos. 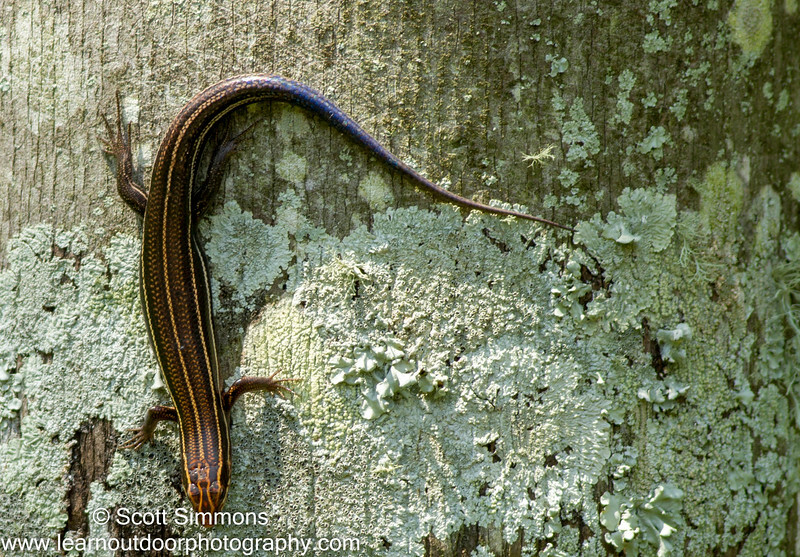 These are very common lizards in the Eastern United States, but for some reason, I very rarely see them. These are the first photographs I've ever captured of the species. I love their blue tails.